Last month Simon Corbell promised us pedal assisted electric bicycles capable of maintaining 25kmph. Pedalecs have a maximum continuous power rating of 250 watts, compared with electric bicycles currently able to be used, with a maximum peak power of 200 watts. They also have additional safety and design requirements consistent with European standards. The advantages of Pedalecs over existing electric bicycles include greater performance on hills and extended range on long journeys. They are a sustainable and cost-effective transport choice, and offer a comfortable ride. “Riders of electric bikes, including Pedalecs, will be required to adhere to bicycle road rules, such as wearing a bicycle helmet which meets the Australian Standard. “The introduction of Pedalecs into Australia is in response to a growing demand for low powered, efficient and environmentally friendly vehicles,” Mr Corbell said. Your average gasoline powered car is 17-21% efficient in terms of energy in->energy out on the road (and to power your electrics). Other sources say lower efficiency even, such as 15%. 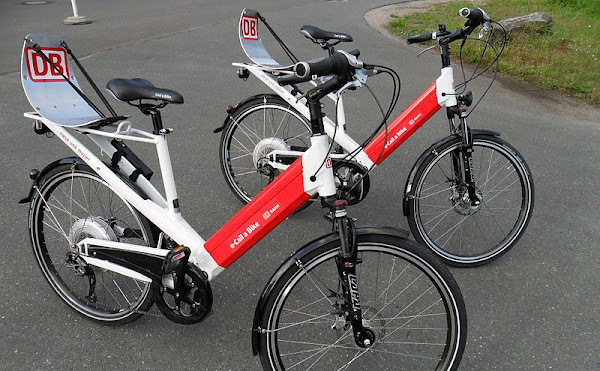 This source states that depending on a number of variables, electric motors on bikes are usually at least as efficient as electric motors on cars when it comes to moving you somewhere. Now without a detailed scientific study no-one here could say with the certainty you are after exactly how efficient and environmentally friendly these pedalecs are. The phrase environmentally friendly is a bit of a misnomer as an absolute term, as most forms of transport do not benefit the environment. Some forms of transport are *relatively* less bad for the environment, which is what people could achieve as that bar is a realistic one. If people want to be environmentally friendly, the best way to do that is to feed themselves to endangered animals. As far as not ruining the environment with waste goes, how many pedalecs could you make out of the mineral and economic resources allocated for one car? I’m guessing it’s more than 10. Could someone explain how these bikes are “efficient and environmentally friendly”? Are they made from recycled toilet paper and do they convert carbon dioxide to oxygen? Some facts please; not platitudes. It’s a relative comparison compared to a car. They’re not 100% efficient or environmentally friendly and nowhere is it stated that they are. Pedalecs? Not near my children! It really isn’t fair to tar Alecs with that brush before his hearing. I had a call around, seems as if no one is selling these type of bicycles.. Considering ACT is the first state/territory in Australia to legalise them, i’d say it will take a while. There are kits online, pretty sure whirlpool had a big thread on them. I had a call around, seems as if no one is selling these type of bicycles. Hopefully it won’t be too soon before we see them in the better bike shops. I’ve been riding an e-assist to work for the past year or so and apart from the weather side of things, it’s by far the best way of commuting that I can think of. I’ve worked out I use about 2c worth of electricity to get to work and back, I get as much exercise as I feel like getting and a lot of the time it’s faster than driving. Sounds good. I think it will take these type of bikes (along with a rise in petrol and parking costs – we can dismiss better public transport as a viable option!) to get a few more people out of cars. With these it could be possible to do a decent ride to work, without the need to have a shower when you get there. I call no fair – I REALLY wanted a Segway and they’re giving us more bicycles. I really want to try one out.